Welcome to the Showers Center Library, a condensed version of the downtown branch. We offer everything that they have on a smaller, cozier scale. 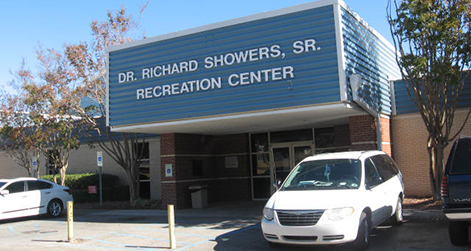 Here at the Showers Center Library, we like to say that our library is like your neighborhood box store--pick up everything you need in one easy stop. We offer remote computer classes, storytime, four early literacy stations, monthly Wacky Science Clubs, 10 computers for public use, free Wi-Fi, and a friendly staff to assist when needed. Read more about the Showers Center Friends of the Library. From I-565 East, take exit 19B for Memorial Parkway North. Follow the Parkway north for 2.5 miles and turn left at the light for Mastin Lake Road. Follow Mastin Lake Road for 0.8 miles, then turn right onto Blue Spring Road. Follow Blue Spring Road for 0.7 miles.